Thank you to Maille for sponsoring today's post. All thoughts and opinions are my own. This is the only turkey recipe you’ll need this holiday season. Ok, maybe that’s a bit of an exaggeration. But it IS the easiest turkey recipe you’ll make all season. It requires only one pan, yes, just ONE pan, and guess what? 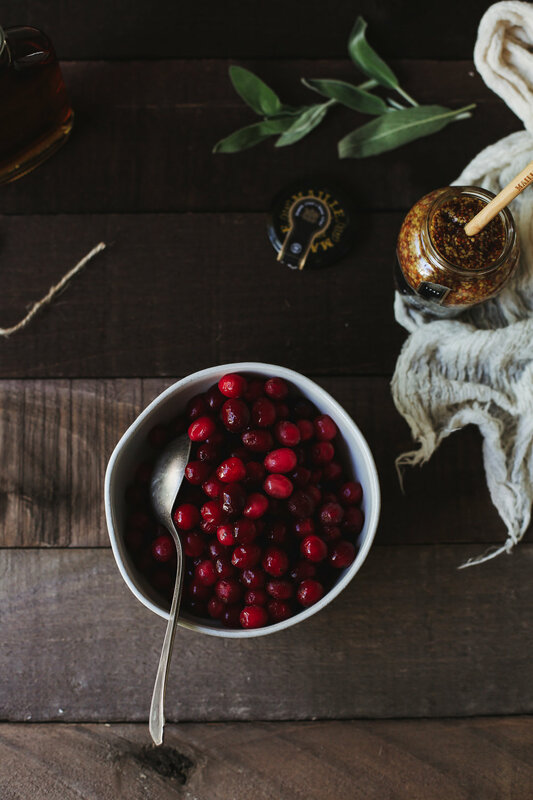 Not only are you making your turkey in that one pan, but you’re also making your cranberry sauce AND a side dish. I mean, it’s basically an entire holiday meal (minus the wine and dessert) in one. I know, I know. It sounds almost too good to be true. I assure you it is not. This one-pan turkey and cranberry sauce recipe sitch (with acorn squash wedges!) is very real and very delicious. However, there are a few tricks to making this recipe work. First, the pan. You need one that is large, heavy-duty and works for both stovetop and oven. My go-to is a cast-iron skillet. Next, let’s talk turkey. For this recipe to work, you’ll want to skip the full bird and just pick up a breast instead. While this might not yield you the usual thanksgiving leftovers, it will save you tons of turkey prep and cook time on the backend. And last, but certainly not least, is the secret ingredient, Maille Old Style Dijon. Not only does this one ingredient add a ton of flavor to both the turkey and the cranberry sauce, it also keeps the turkey from drying out while it’s baking. Honestly, this recipe just wouldn’t work without it. 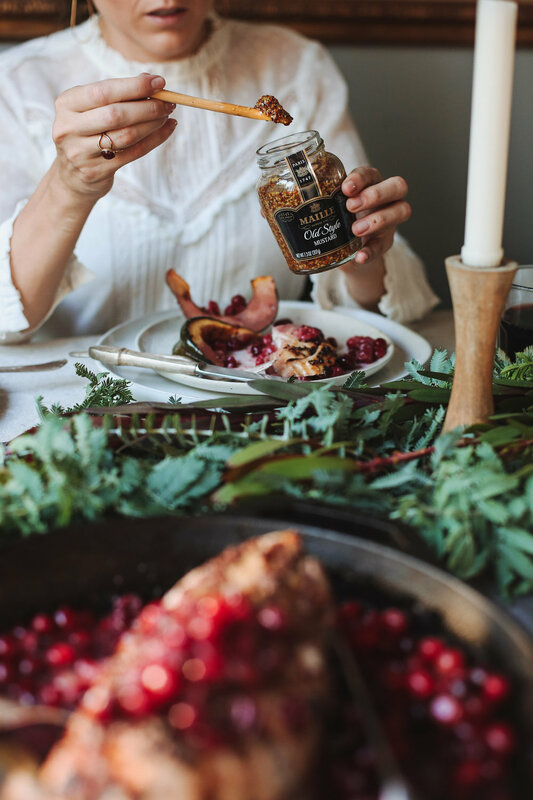 Outside of those tips and tricks, this One-Pan Roasted Turkey with Maille Old Style Dijon, Bourbon + Maple Cranberry Sauce and Acorn Squash Wedges is pretty darn quick and simple to make, and you’ll have a holiday meal on the table so fast, people will think you ordered delivery. But hey, let them think what they want to think. Whatever gets you out of the kitchen and to a glass of wine faster, am I right or am I right !? In a 10-12” cast iron skillet, stir together the cranberries, 4 tablespoons of the Maille Old Style Dijon, bourbon, maple syrup and water, until combined. Place the turkey on top of the cranberry mixture, then arrange the squash slices around the meat. Drizzle everything generously with olive oil. Then coat the turkey with the remaining 2 tablespoons of dijon and gently rub it into the turkey skin so that it combines with the olive oil to form a bit of a crust while baking. 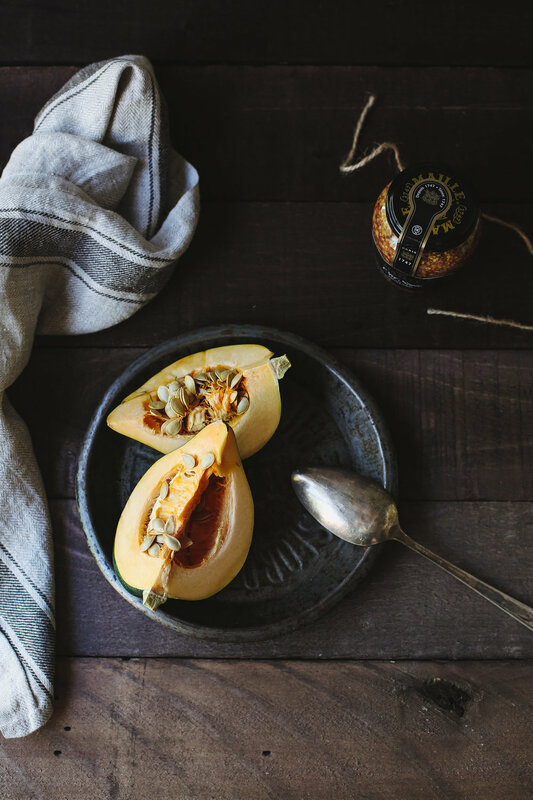 Sprinkle the squash with some fresh sage, then finish off both the vegetable and the meat with fresh ground salt and pepper. Bake for 45-60 minutes, or until the meat reaches an internal temperature of 165 degrees, and the liquid has mostly evaporated from the cranberry sauce. 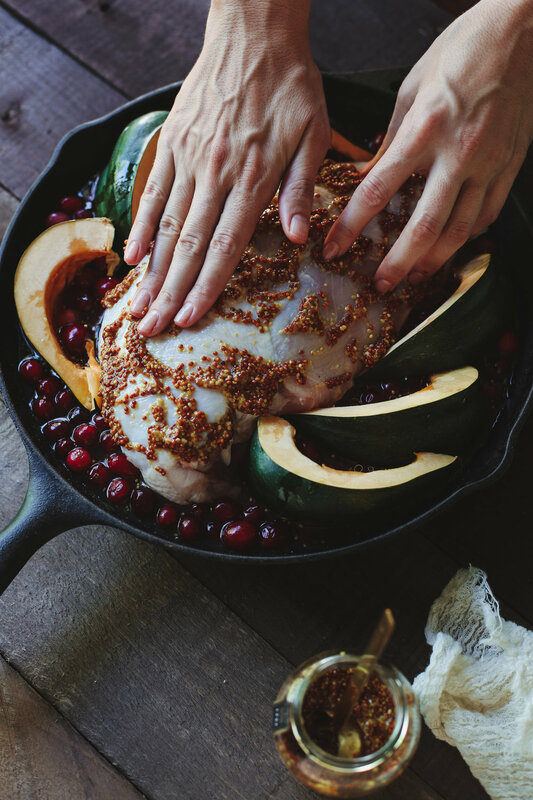 Remove the pan from the oven and allow the meat to set for a few minutes before slicing and serving, alongside the squash, topped with cranberry sauce.